Singing the song of rich cultural history, South India holds a richness of heritage in its lap. Embraced by three seas — Arabian on the west, Bay of Bengal on the east and Indian Ocean on the south, the region has become a major tourist destination. Dotted with endless numbers of natural splendors including enormous mountains, gushing valleys, mesmerizing beaches, soothing climate and gushing landscapes, the lands of South India is a perfect kaleidoscope of beauty and diversity. If you are confused which place to visit in South India, this article will give you a list of the prime attractions. Let us go through them. Goa: The kingdom of Goa is the most preferred destination of South India Tour. This civilized land, famous for orchards and water is the coolest place in India. Come here to gaze the prestine beaches and make your vacation memorable. Also the honeymooners can make their holiday an everlasting experience sitting amidst the lap of nature. Walk through the silvery lined beaches, holding each other’s arms that create a bonding between you both. 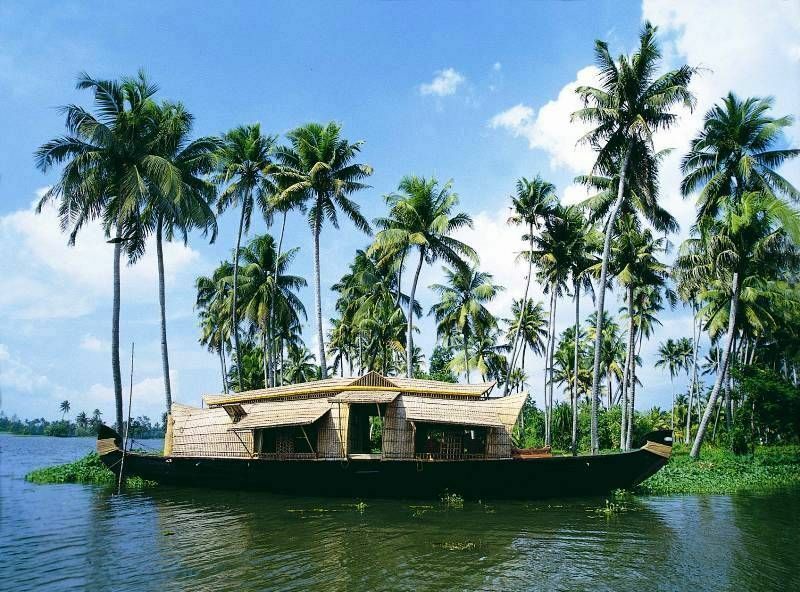 Kerala: A big reason lies behind why Kerala is called as the ‘God’s Own Country. This magical South Indian land is an abode of several heavenly attractions such as romantic beaches, mighty forests, adventurous boat rides and ayurvedic spa and massages. This is like a dream destination and has its own specialty to offer. Chennai: The metropolitan city, Chennai is the capital of the Indian state of Tamil Nadu. The land is still younger than its image. Unlike other cities in India, Chennai is also a reflection of country’s diversity. It has blossomed with a large heart and encompasses various attractions for the travelers to visit. Bangalore: Bangalore, rechristened as Bangaluru is the capital state of Karnataka in South India. Nicknamed as ‘Pensioner’s Paradise’, this is considered to be Asia’s fastest cosmopolitan city. The economy of the land is booming and this garden city is like a paradise for vacation makers with a flurry of hot spot destinations. Tamil Nadu: The superb land with vibrant history and enchanting architecture is like a heaven offering plentiful of nature’s marvels. With endless blue beaches, tall mountains, religious temples and rich heritage, the state of Tamil Nadu has everything for everyone. Karnataka: Karnataka is a dazzling state in South India. The retreating destinations of the state are sure to enthrall your senses. It’s astounding beauty, blooming gardens, exotic wildlife, rich heritage and medieval charm, creates a magical spell on you. The city of Karnataka is never-to-be-missed destination in India. Cochin: Cochin is one of the most beautiful South Indian states of Kerala that is nestled in the south-west coast of Indian headland. Its Outstanding ports and International Airport links makes it the major cities across the entire world. Come here to enjoy the picturesque sea side and take part in the boat riding activities. Mysore: Mysore is the most highlighted destination that is a culturally rich city of the South. The land is renowned for its Sandalwood products and they are widely famous all across the world. Popular places to visit are Ambavilas Palace, Jayalakshmi Vilas, Brindavan Gardens, Railway Museum and many others. Hyderabad: The ‘City of Smiles’ Hyderabad is the capital city of Andhra Pradesh exclusively nicknamed as the ‘Pearl City’. The mixed cultural and historical tradition makes it the most enchanting city of India. The major attractions of the place are Charminar, Golconda Fort, Taramati Baradari, Birla Mandir and lot more. Pondicherry: The land of Pondicherry is a surprise to India. This cosmopolitan city is a preferred hunting ground for the shopaholics as there are many to bargain for easy pickings. This serene place makes you step into its marvelous beauty. Famous places are Old Colonial Quarter, Sri Aurobindo Ashram, Old Light House, Botanical Garden, Pondicherry Museum and more. So, now what are you waiting for? Just get up and pack your bags for an amazing tour to South India with your family and friends.